Celebrate Galentine's Day with your girlfriends looking your best + bringing the perfect gift for the special occassion. Whether heading out for cocktails, to dinner or hosting the girls at your place here's how to look stylish and festive for Galentine's Day. 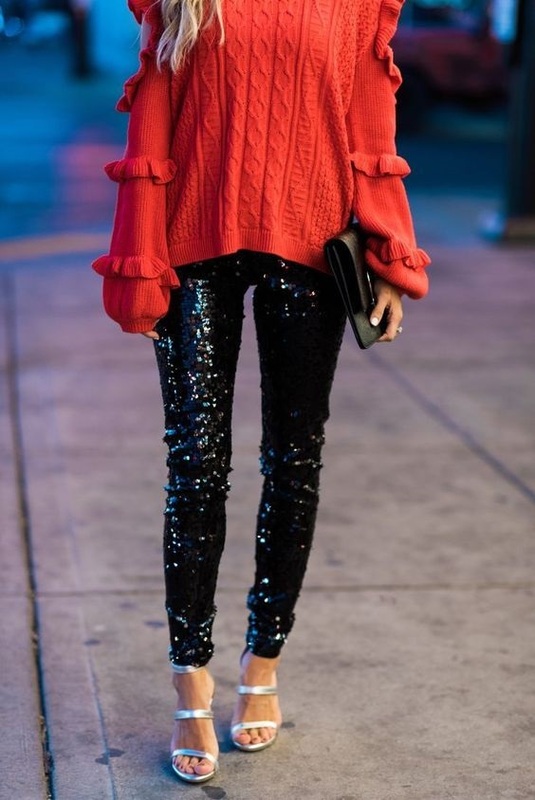 Sequin joggers + a cozy sweater in red or pink is a perfect Galentine's Day outfit. Stay on theme wearing pink and red or ooze sophistication in silver or gold joggers with a white or ivory sweater. Simple heels and hair in a bun completes your look. If joggers aren't your thing, choose a heart or kiss theme sweater with leather leggings and heels. Flirty yet fun. THE GIFT Sweet treats light up the room. 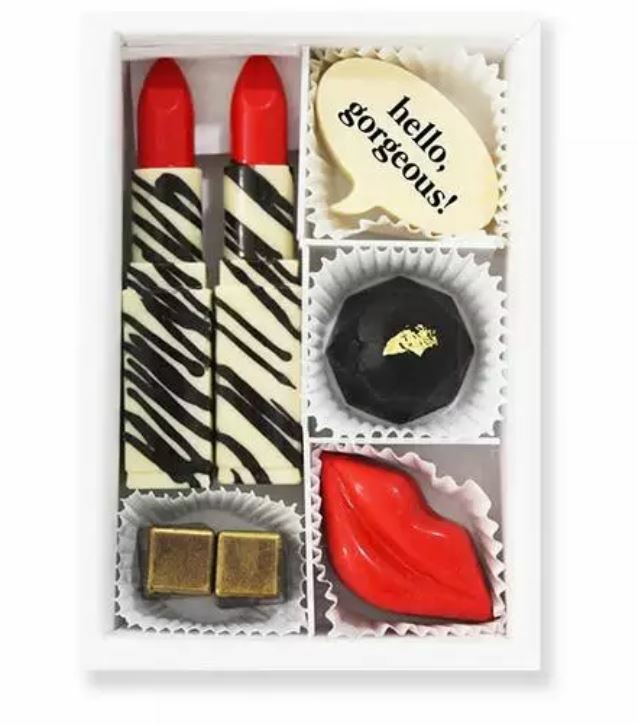 Gift the ladies a box of chocolates such as these from Maggie Louise, which have a flirty love vibe. 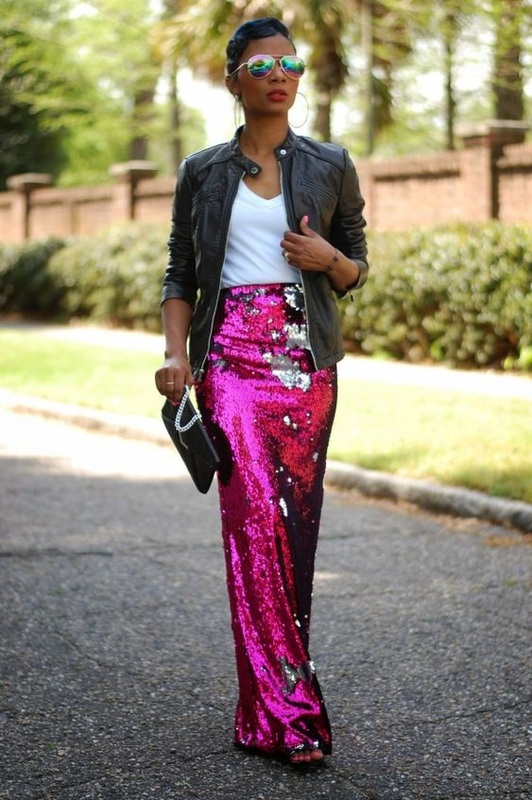 Sparkle in something fun for dinner and drinks with the ladies. Whether you dine at someone's home or you heading to a super chic restaurant look sophisticated and ultra-chic from a sequin skirt to a dress or skirt with tassels and fringe. Pair with a silk or chiffon blouse to glam your look or be playful with a graphic Galentine's Day tee. THE GIFT A touch of bling adds the perfect sparkle to your lady friends. Give them pink or red bead or stone ring or earrings or opt for a fun vibe with lips, hearts and love jewelry theme. Flirty and fun is the name of the game. Flirtateous dresses with draping, fringe, and embellishment make your outfit special. Pair pink and red or add white as a neutral with one of these hues. 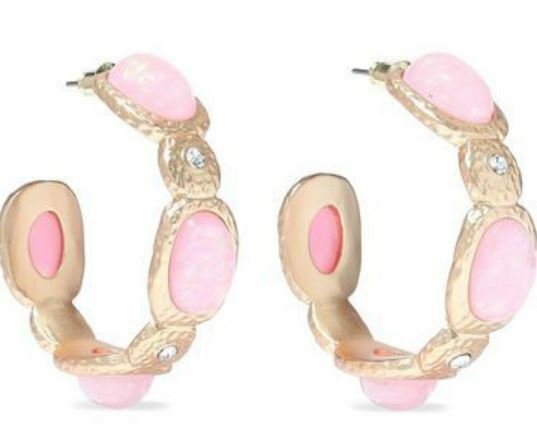 Bold statement earrings, a stylish bag and wow them in flirty high heels or mules. THE GIFT Give the girls something special with a kiss. A wallet, small clutch, or makeup bag sealed with a kiss or hearts is a flirty, festive option.